This course is designed to teach the trainer about current eating habits in America and how they relate to the obesity epidemic. Trainers will learn about obesity trends in the last 30 years as well as the changes that have occurred in the food and beverage industry. Trainers will develop a strong understanding of how the subconscious mind works and how it plays a role in our eating behaviors and our food choices. Finally, trainers will learn the Power Programming method and will teach their clients the Power Programming method. Tom Kersting is an expert/host on the A&E series, Monster In-Laws, where he moves in with families across America who are at war with a meddling in-law. Tom is also a regular relationship expert on the hit nationally syndicated daytime talk show, The Bill Cunningham Show. Tom is a licensed psychotherapist and is one of the most sought-after experts in the field of mental health, family, relationships and wellness. He has provided advice to millions of people through regular television appearances, radio, print contributions, seminars and private sessions. He is the founder and owner of Valley Family Counseling LLC in Ridgewood, N.J. Tom lives and breathes health, wellness and family, and his energy and wisdom touches everyone he meets. He believes that we all have the potential to free ourselves from emotional and psychological pain, and to create the life we desire. 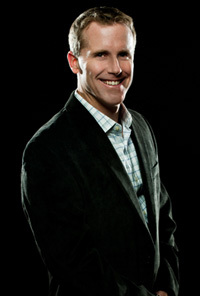 Tom has over 17 years of experience working with individuals, adolescents and families. He is also an expert in health and fitness and is the author of the book, Losing Weight When Diets Fail (Harbor Press, 2007). Tom is a true renaissance man. He holds numerous advanced degrees including a bachelor's degree in Psychology from St. Thomas Aquinas College, a Master's degree in Counseling & Human Development and a second Master's in Administration & Supervision, both from Montclair State University. Tom also holds a Ph.D. in Clinical Hypnotherapy (alternative/non-traditional) from Kona University (formerly American Pacific University). Tom is also a former semi-professional baseball player, and is a dedicated weight-trainer and distance runner.